Like every holiday Easter has come and gone in what seemed the blink of an eye. I’ve been quite busy the week before easter, baking cupcakes and cakes, tinkering on surprise eggs for my oldest nephew and making bread to be consecrated at the Easter service. 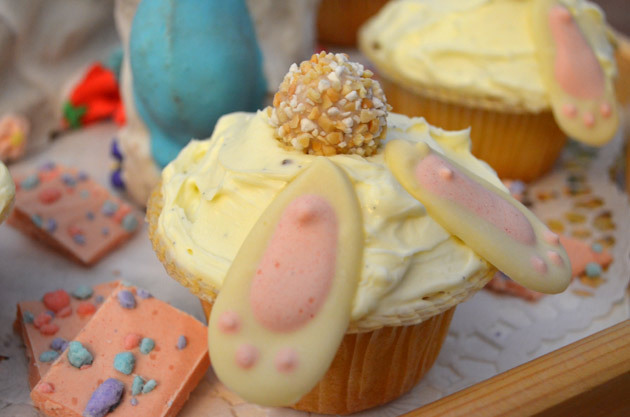 My absolute favourite this Easter were those cute little bunny cupcakes you see above. I came across the idea at Created by Diane and I couldn’t stop thinking about them. Finally I chose this really yummy vanilla cupcake recipe and topped them with mascarpone mixed with vanilla and sugar. They tasted really excellent and everybody loved those cheeky little bunny bums . 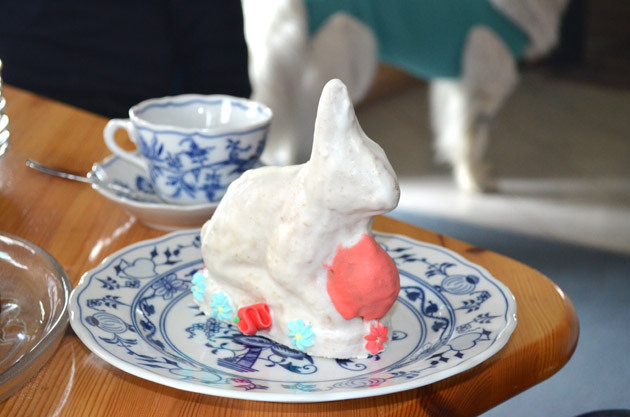 Another thing I really couldn’t wait to make this Easter was a traditional paschal lamb cake, or in this case paschal rabbit. In Austria these soft, white, sugary cakes are baked especially for the days around easter. In my family they usally just were topped with some icing sugar and mostly ate for breakfast. Since this tradition had stopped now for some years I was eager to revive it. I found this quite lovely recipe on the web and coated the bunnies with a mixture of egg whites and icing sugar. Topped with some sugar flowers they really looked lovely I think. And they also tasted really good. Last but not least I made this easter surprise eggs for my oldest nephew. As I mentioned in one of my last posts, I really fell in love with the idea by not martha to disguise easter eggs as chocolate filled surprise eggs. You sould really take some time to make those, keeping in mind, that they need some time to harden at each step. But just stick to the instructions over at not martha’s and you’ll be really fine! 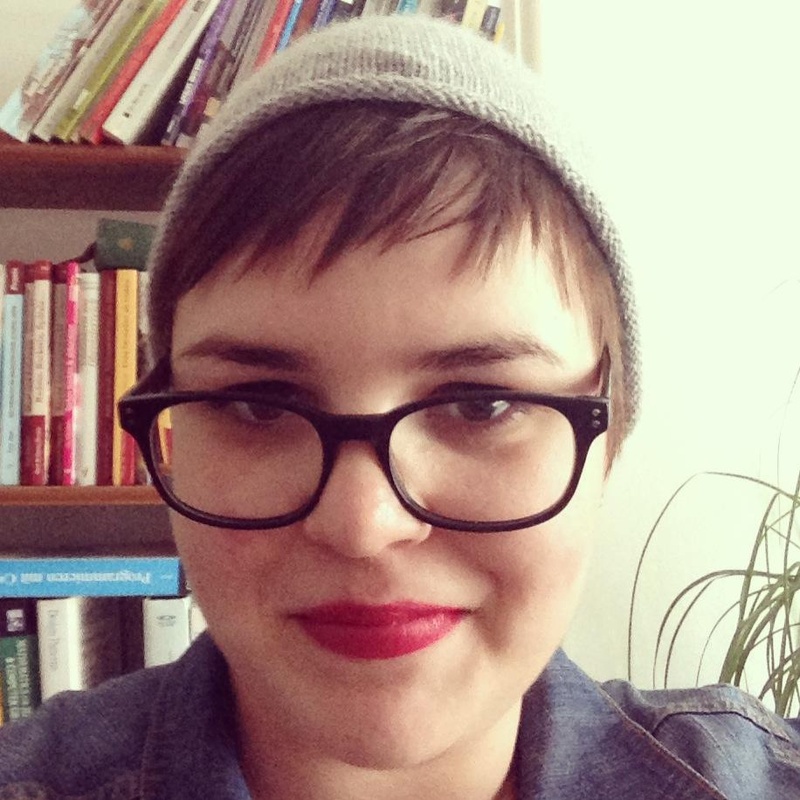 I’m working on some things at the moment, but none of them is ready to be shown on this blog yet. So, in the meantime and to break my resent silence and just because there is so much lovely stuff all over the net right now: My favourite DIY easter egg picks. Message in a egg – I found the first one some while ago and I think it’s the perfect combination of the always beloved fortune cookies and easter eggs. Write your secret easter message on a small piece of paper and hide it inside a beautiful coloured egg for your loved ones. Find a deatailed how-to on oh! craft. Chocolate easter surprise eggs – This is my absolute favourite! The idea is just too awesome and I really can’t wait to make some chocolate surprise eggs of my own soon! I always loved, and honestly still do, chocolate surprise eggs but I never could think of any easy way to make them at home. So check out this neat instructions over at not martha and surprise your folks big time! 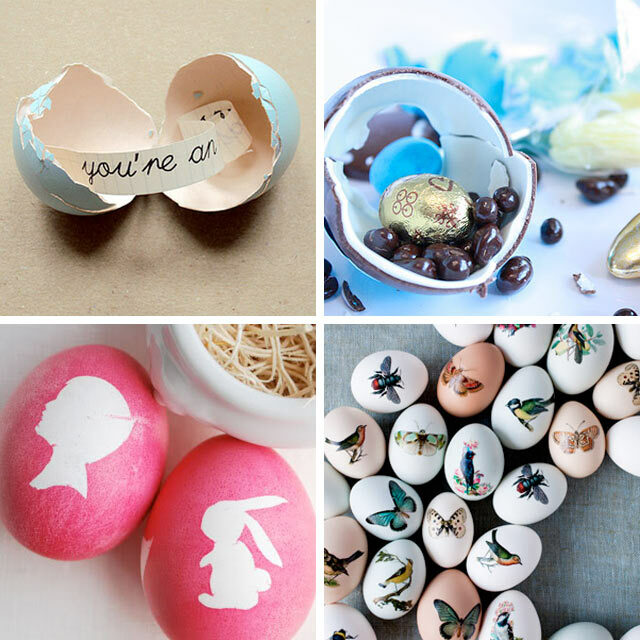 Silhouette easter eggs – They are around the web for some time and I remember wanting to make some of those last year. I hope to find the time this year because, honestly, they just look adorable, don’t they? Find instructions at Le Papier Studio. Tattoo easter eggs – Temporary tattoo easter eggs were always the high achievers goal in my family. After we had dyed lots and lots of beautiful colourful eggs my father used to dig out all the leftover easter egg tattoos and the most talented and trustworthy easter egg dyer was appointed to carefully put this fragile pictures on the eggs. It always was a nerve-racking task for the chosen one as well as for the rest of the family who was carefully watching the procedure and giving lots of good advice. As you might imagine, this mostly ended in a minor controversy, leaving the tattoo delegate offended in his skills and the rest of us with the silent plan to get nominated next year and to show everybody how it’s really done! This is always one of my brightest memories when I think back on my childhood days and easter and so temporary tattoos for easter eggs always hold some kind of fascination for me. The one on the picture above are really beautiful as well and a clear improvement to the very infantil designs of the 80’s and 90’s. So maybe I will choose myself this year trustworthy and show everybody how to make real lovely tattoo easter eggs! For more crafty ideas go over to my pinterest board.